Looking for that special Christmas morning breakfast? I've found the treat for you. What could be better than french toast and chocolate? 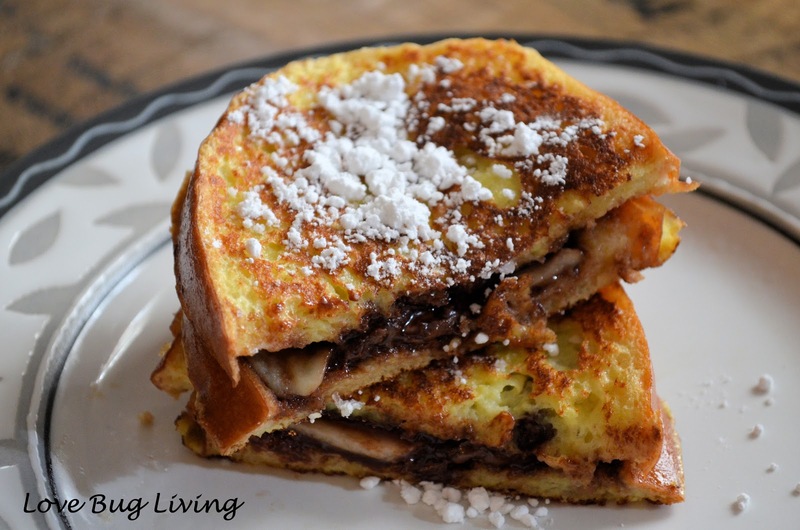 How about french toast, chocolate, and banana all in one! This recipe from Cooking Light﻿ was so yummy that I thought it would be the perfect recipe to share with all of you that are Handmaking the Holidays! What could be more special than something that is handmade by you for those that you love. This recipe is quick and easy, so it is the perfect Christmas morning meal. Spread your Nutella on your bread, top it with bananas and another slice of bread and your french toast is ready to dip and place on the griddle. Waiting so patiently for breakfast to be ready! They always want to be so helpful too. Don't they look excited! 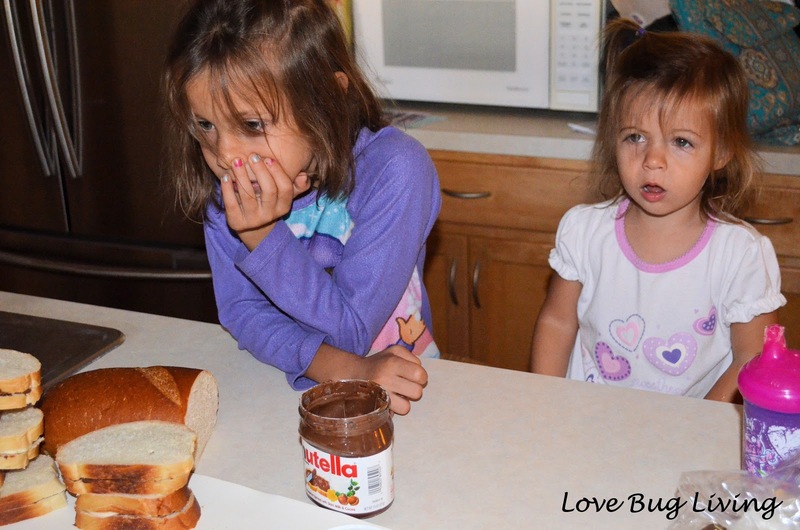 The kids can help out with spreading the Nutella or even slicing the bananas with a butter knife. I know my kids always eat better when it is something that they have helped make. Breakfast is cooking! We used french bread instead of the usual square bread. What is your favorite bread for french toast? Combine first 5 ingredients in a shallow dish. Spread each of 3 bread slices with 1 1/2 tablespoons hazelnut spread. 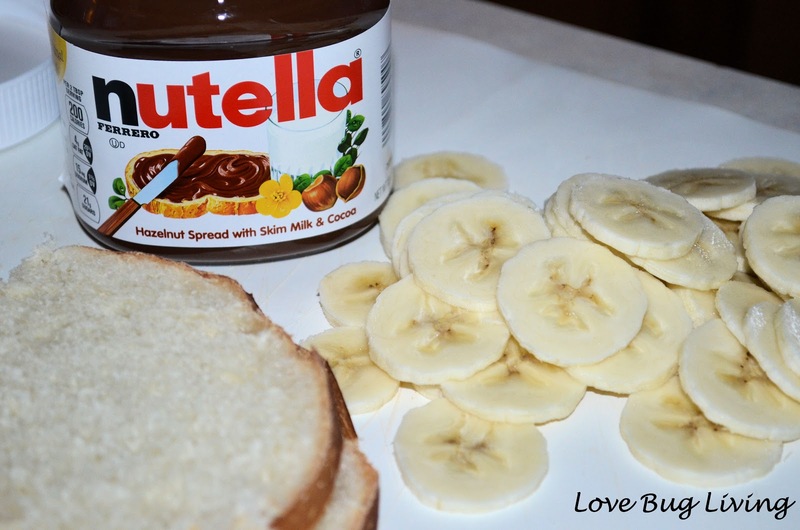 Arrange 1/3 cup banana slices over each bread slice. Top sandwiches with remaining 3 bread slices. Heat oil in a large nonstick skillet over medium-high heat. Working with 1 sandwich at a time., place into milk mixture, turning gently to coat both sides. Carefully place coated sandwiches into pan. Cook 2 minutes on each side or until lightly browned. Cut each sandwich into 4 triangles. Sprinkle evenly with powdered sugar and serve! 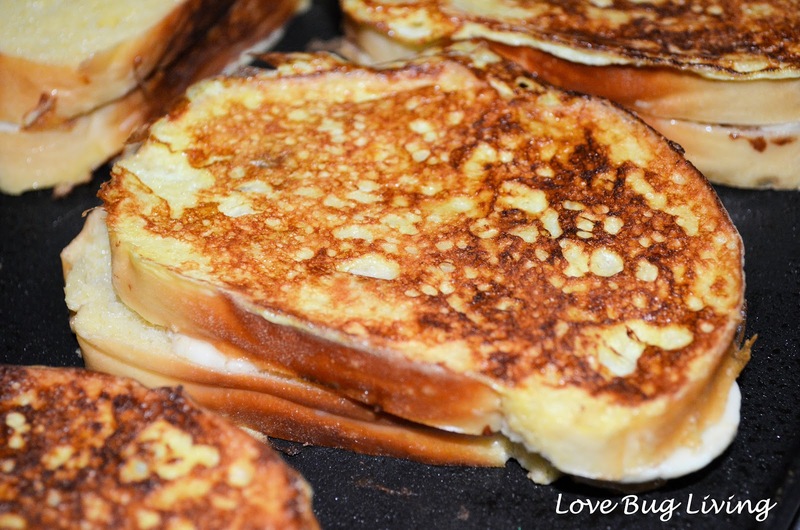 Love french toast, but want something you can make ahead of time? 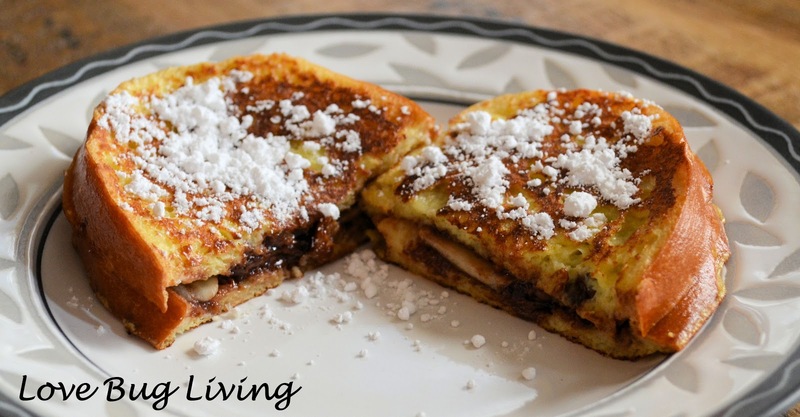 Check out this deliciously yummy Creme Brulee French Toast that you make the night before! Now I'm not sure which one I'm going to make! Looking for some other great ideas to help you with Handmaking the Holidays? Hop on over to visit Chrissy at Muse of the Morning, Heather at Feather's Flights, and Sandee at In the Hills of North Carolina to see what they are sharing! Wow this looks so good. I know my kids would love it, especially Sammy! I like the sound of the French bread actually!